We believe in providing clients with accessible futures, hedging, and risk management education resources. By providing a better understanding of how the markets work, farmers, producers, and investors can better understand, hedge, and help control their agricultural risk. A well thought-out written marketing plan is essential to agribusiness success. In addition to a 2-week trial subscription, our free Farm Marketing Plan provides the fundamental framework for farm marketing strategies that can help increase income and reduce risk. 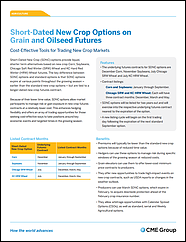 Learn how to use the futures and options markets to manage price risk for grains and oilseeds. 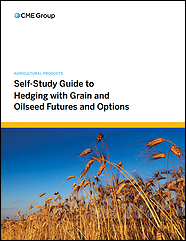 This guide offers examples of hedging strategies for both producers and end-users. 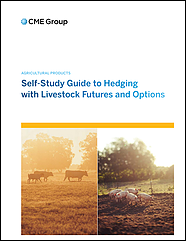 The Self-Study Guide to Hedging with Livestock Futures and Options is an introduction to the mechanics of using futures and options to forward price livestock. The booklet presents 17 short units of study to help livestock producers and processors become comfortable with the futures markets and how to use them. 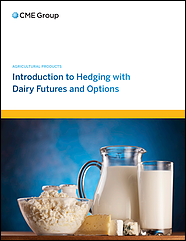 Dairy futures and options serve as useful tools for managing the risks inherent to the dairy industry. Options on Dairy futures, in particular, allow producers and manufacturers to limit their price risks, while leaving open the door for profit potential. The Basic Fundamentals, strategy, and vocabulary of options on futures. A great introduction to these exciting markets. 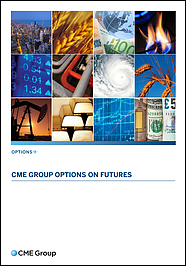 Learn about the CME Group’s short dated options and how you can use them in your risk management program. 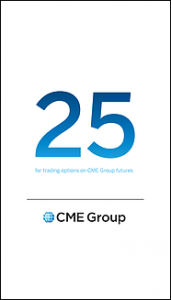 Learn 25 ways to trade options on futures. Examples include butterflies, straddles, back spreads, and conversions. Each strategy includes an illustration of the effect of time decay on the total option premium. 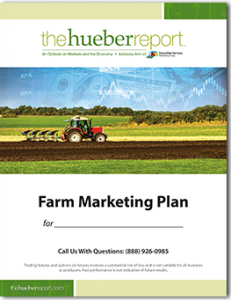 Stay up-to-date with the latest agricultural market research and analysis from The Hueber Report.